Thank You Trinity Lutheran School Downtown 2nd Grade Class! The Houston SPCA would like to thank the Trinity Lutheran School Downtown 2nd grade class for visiting our shelter. 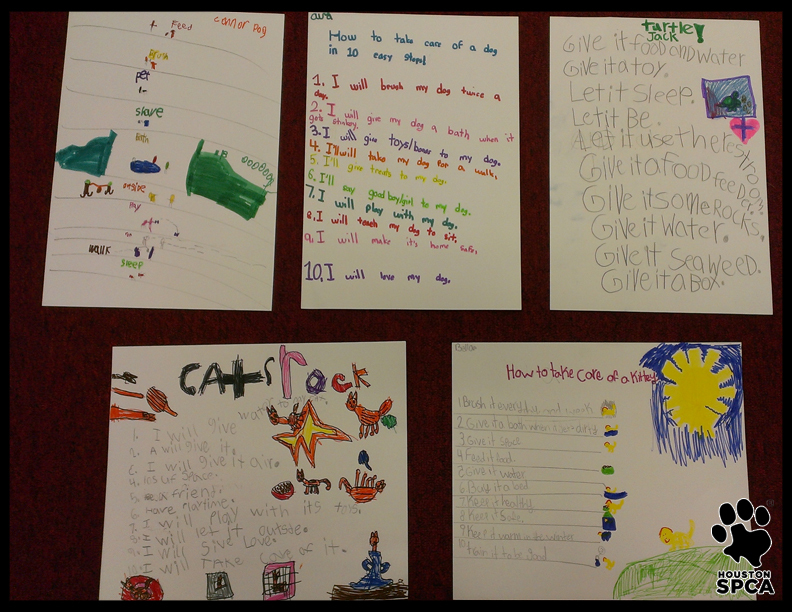 We are so proud to see so many students excited about learning how to take care of their pets! For the past three weeks our humane education department has visited the 2nd grade class to teach them about the needs of living things, how to take care of pets, and how much pets cost through the Pets 101: Care and Ownership program. 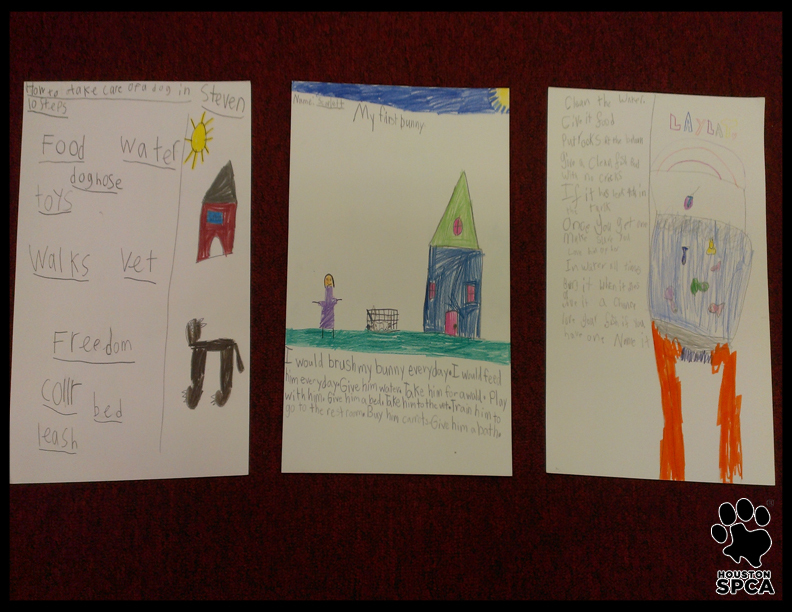 In the final portion of this program the class had the opportunity to take a tour of the Houston SPCA shelter and present their Pet Care Project posters. 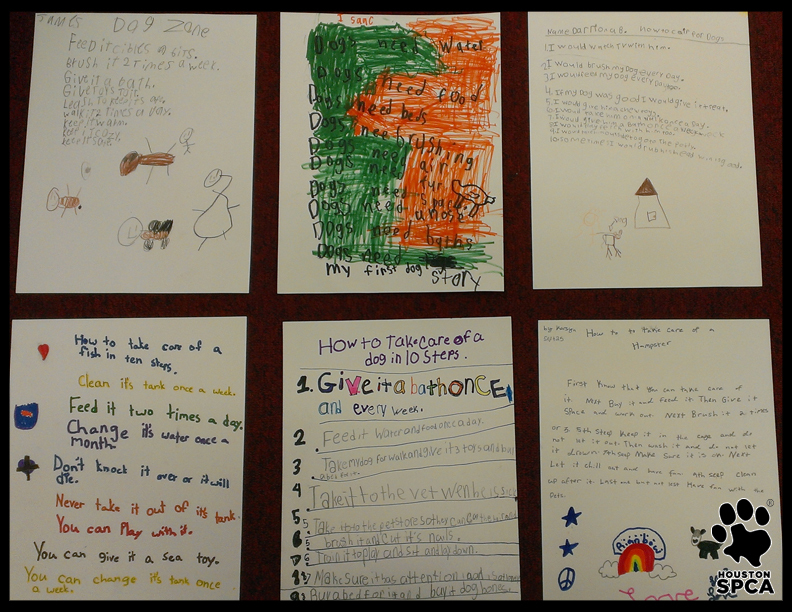 Students chose any animals they wanted as a pet and created a poster listing 10 steps to taking care of that pet. You can see the posters below – don’t they look great! You can contact the humane education department by e-mailing education@houstonspca.org or calling 713-869-7722 ext. 143. Categories: Houston SPCA, School Programs, Schools | Tags: 2nd Grade, Education, Houston SPCA, Humane Education, School Program | Permalink.